Linda DeNicola is a mother, grandmother, writer, journalist and mixed media artist who lives in New Jersey surrounded by her large family. During her career as a journalist, she covered local news, but had a specialty covering the local Arts scene. She has worked full time for The Advisor Journal/Asbury Park Press; Greater Media Newspapers; and lastly as a freelance writer for the Huffington Post’s Patch.com. Linda is also a curious and passionate international traveler who especially adores traveling with her multi-generational family. There is one journey that Linda has taken, that she would rather have missed. She did however think it worthy of writing about, and so she did. That journey is the basis of her soon to be published memoir by this title The Country of Cancer – Learning to Live Again. We are thrilled that Linda has returned from that harrowing trip, and that she is excited and ready to embark on a wonderful new journey with me, the Trusted Traveler. Her memoir will be published by the Trusting Traveler next month, March 2014. As for the great trust that I have in this new Trusted Associate; it has developed over my entire lifetime, because she is after all, my mother. 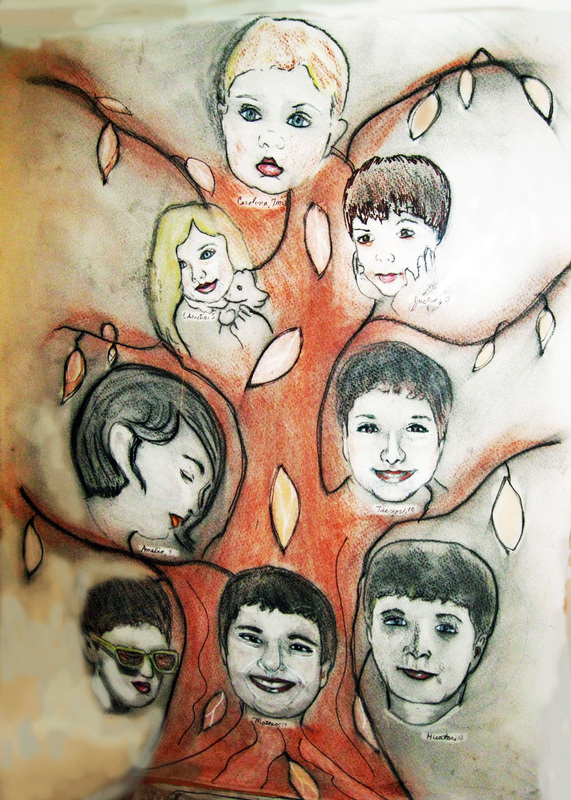 Note: the header photo is Linda’s original artwork, her drawings of her 8 grandchildren, including my two children, and is the gorgeous cover for her well written and optimistic memoir. Now looking for the next Trusted Associate for our team. Dad….Aunt Carol….Uncle Lou.. This entry was posted in Uncategorized and tagged Cancer, cancer memoir, international travel, memoir, Mixed Media Artist, multi-generational travel, travel, Trusted. Bookmark the permalink.